Stone Brothers & Byrd offers strong and effective herbicides to control crabgrass, sandburs and other tough broadleaf weed problems. Try our MSMA and Prodiamine combo for pre- and post-emergent control. Stone Brothers & Byrd offers a full line of unique home-made goodies like Moonshine jelly, Hotter ' N Hades Chow Chow, NC Mountain Honey, Waynesboro Country Ham, and June Daisy Hoop Cheese and much more. Come on down for a taste. Durham has changed quite a bit since we started trading with farmers back before the war. But nearly 100 years later, folks still love to dig in the dirt, planting tomatoes, squash, peppers and more. We've learned a trick or two about how to grow vegetables and flowers and we love to share our knowledge. Come on down and see us. Yellow and Purple Nutsedge grows and spreads with underground rhizomes and tubers. When applied to actively growing nutsedge, Sedgehammer works all the way down to the root nutlets to effectively eliminate nutsedge. Stone Brothers & Byrd began trading with farmers in Durham, NC back in 1914. 100 years later, thanks to you, we're still going strong. Come down and help us celebrate this year. Stone Brothers & Byrd has been serving the garden and lawn needs of folks in Durham since 1914. We offer local planting knowledge and a wide varity of plants for your yard, fresh, hand-weighed seed for your garden and premium-blended grass seed for your lawn. With its’ lightweight versatility, Aircrete has as many uses as you can imagine. From whole-home construction, to floating docks, to patio pavers, aircrete is the wave of the future. The key ingredient to aircrete is a foam that will retain bubbles and foam long enough to allow the concrete to set up. Ordinary dish soap simply does not have this capacity. Folks who are serious about creating construction-quality aircrete know that the secret is in Drexel FM 160. 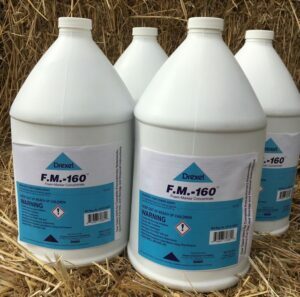 Used for decades as a foam marking indicator for farming and agricultural field spray, FM 160 has been discovered to be the hands-down best additive for aircrete. 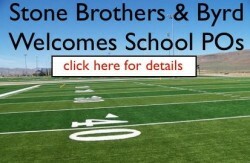 Take advantage of our Buy Three/Get One Free offer. To learn more about aircrete, we recommend watching instructional videos from AIRCRETE HARRY. 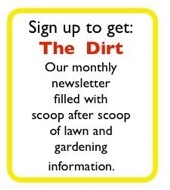 The perfect gift for your gardener. Eliminate Yellow and Purple Nutsedge by attacking the underground tubers.